The newly formed United States is in need of revenue, but one of its first taxes, an excise tax on whiskey, is violently opposed by small distillers in Western Pennsylvania. The 1791 passage of the whiskey excise tax was an attempt to begin paying down that debt through a direct tax on the distillation of alcohol. The distillers see the whiskey tax as the brainchild of Alexander Hamilton and greedy Eastern bankers. 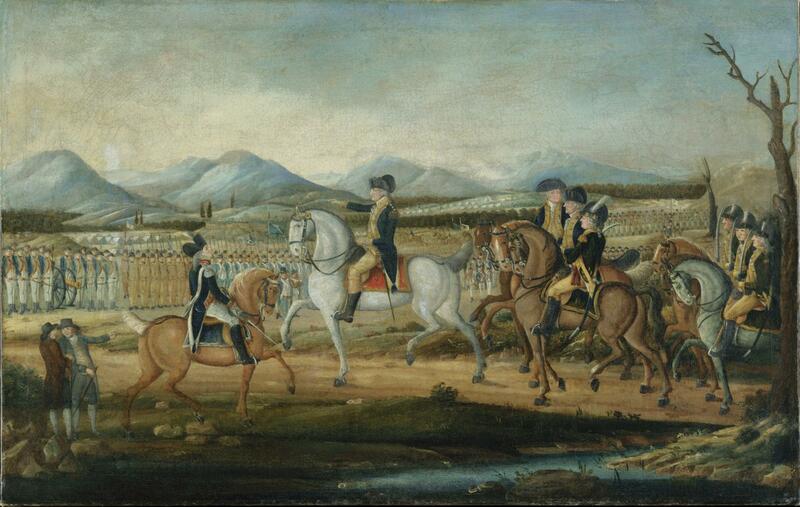 During this uprising, President Washington must decide if he should suspend the unpopular tax, let local officials handle enforcement, or use military force. President Washington, committed to upholding the Constitution, faces one of the great challenges of his presidency. Step into the boots of the first president in this exciting interactive experience. Congress approved a new, federal tax on spirits and the stills that produced them in 1791. For farmers on the frontier of the new nation, the production of whiskey was an important method of converting large amounts of grain into liquor, which was easier to transport across the Appalachian Mountains for sale in eastern markets. These small-scale farmers did not have ready cash to be able to pay the tax and were unable to easily pass on the burden to their customers, like the operators of large distilleries in the east. Taken together with feelings that the government in the east was not doing enough to resolve problems with Native Americans and the issue of free navigation on the Mississippi River, the tax fueled an already growing fire of animosity in the frontier counties throughout the states. Discover lesson plans and primary sources to accompany the exciting interactive. The advisers represented in the Be Washington experience are all based on real-life historical figures from the first president's cabinet, military leaders of the Revolutionary War, and more. Learn more about your advisers in the Whiskey Rebellion scenario. Step into the boots of the first president of the United States and make the very same decisions as General George Washington in this exciting interactive experience.